Indes team members launch a start-up to democratize software development for Internet of Things using Hop.js. Vincent Prunet has given an interview about a start-up project based on Hop.js, a software suite dedicated to IoT applications development. Hop.js was presented at SophiaConf, the annual conference dedicated to open source technologies, on July 4, 2017. 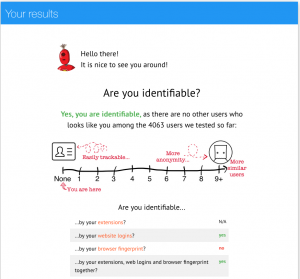 How Websites Can Identify You By Your Browser Extensions and Web Logins?